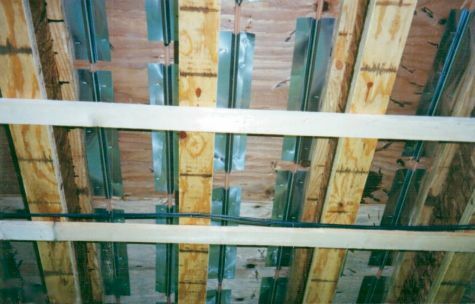 Photo of staple-up tubing with plates. 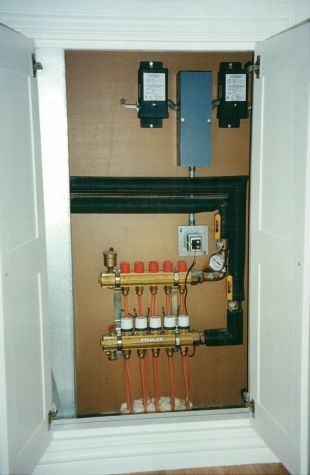 Photo of remote Stadler (Viega) milled, brass manifold and wiring. 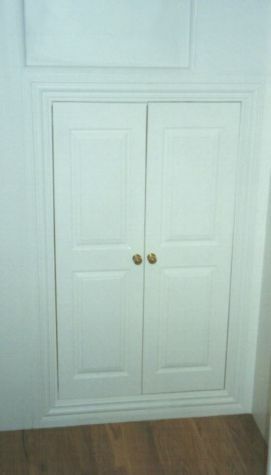 These are custom made doors which match the closet doors to hide the manifold. Photo of hidden Stadler (Viega) milled, brass manifold. The HVAC for this house has approximately 11,000 s.f. 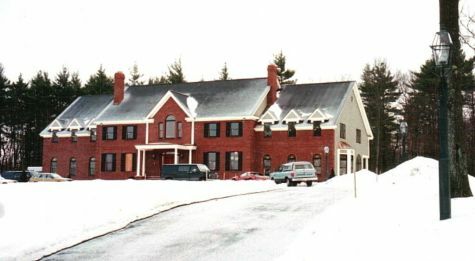 of heated space with high ceilings and conventional insulation. It is heated with a staple-up, in-floor radiant heat system and radiant panel baseboard detailed into the wood trim. 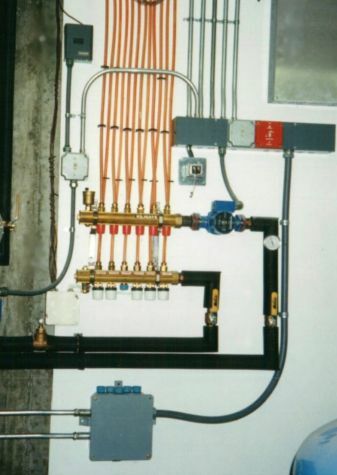 It has several remote manifolds hidden throughout (see photo’s # 4 & 5). In this home, virtually every room is its own zone. With a thermostat in every room, the owners have very precise temperature control. 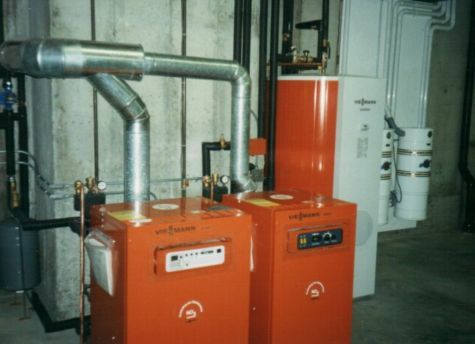 Here are the two Viessmann gas boilers and 120-gallon indirect water heater. They are controlled via the electronic, weather-responsive control built into the front of the boiler. It step fires each boiler independently and controls a separate 4-way mixing valve. We use multiple boilers for many larger houses as this increases the efficiency of the system and gives you redundancy in case one boiler were to break down. This equipment is over 10 years old and would still surpass the quality and efficiency of many brands on the market today. Viessmann, however has upgraded these with the newer GS100 series and with the wall hung Vitodens.